So that translates into “we have to try to find as many as possible”… And you know what happens to all those gazillion of shells? They sit. They sit in boxes in our garage only to be found 10 years later still sitting there not decorating anything.. 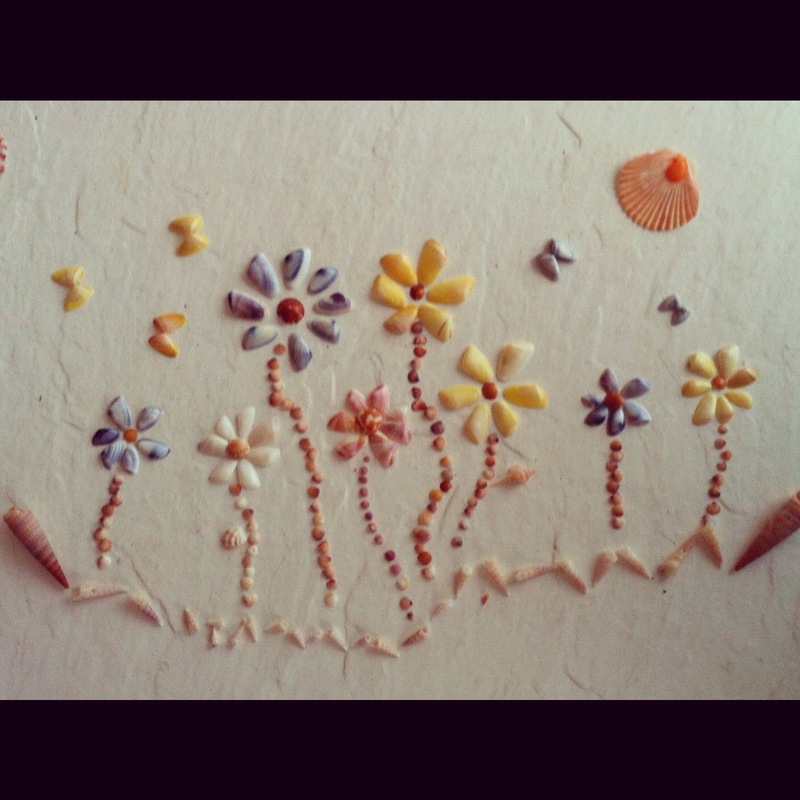 So therefore, we ( my sister and I ) decided to find shells we could actually make into something! So my sister and I had this great idea that involved coquinas! We started to look in the water for them, but the waves were keeping the sand stirred up and moving the shells around every second, so we then decided to look around the crust the waves leave behind….. In this “crust” stuff, were tiny baby shells! 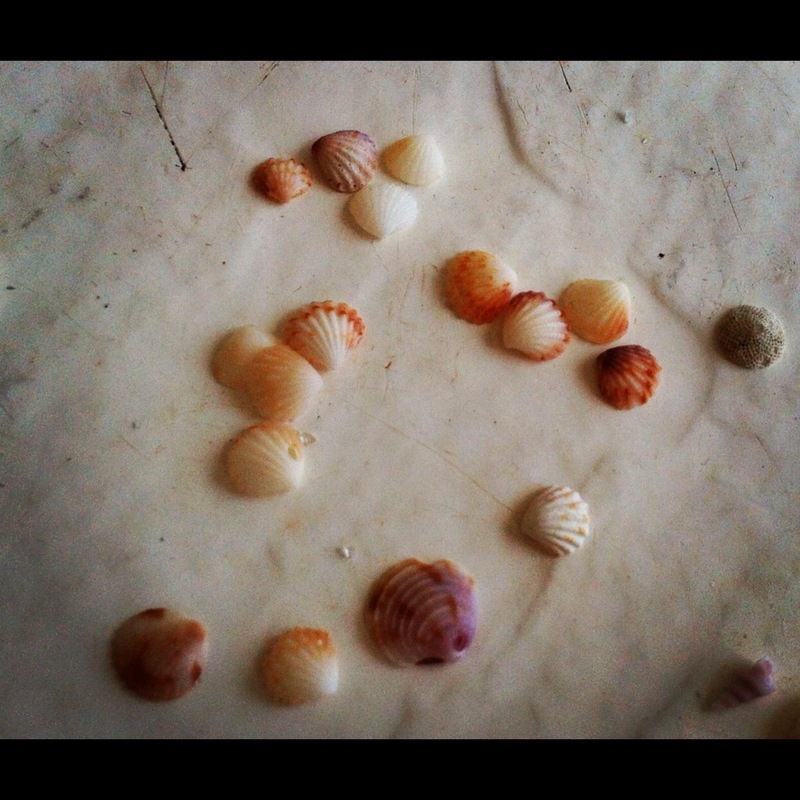 I’m serious, these shells were tiny tiny tiny! Much smaller than your fingertip and so crazy detailed. They were amazingggg.. So we started grabbing those too! 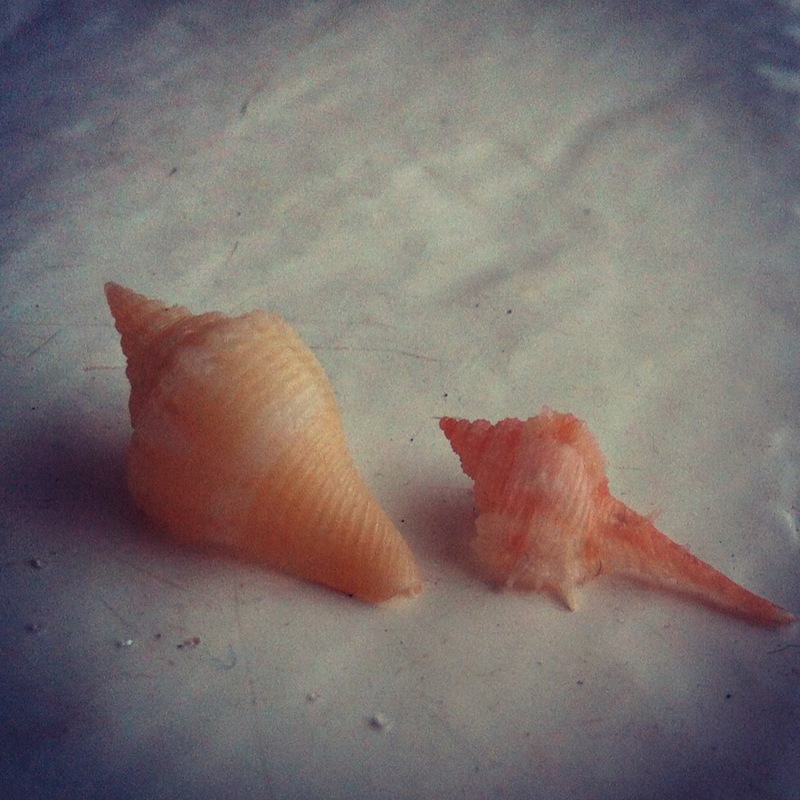 Look at how small these shells are! Right above the purple shells is a grain of sand… Do you understand how small a grain of sand is?! It’s TINY! That’s how small these shells are! Do you see the tiny spiral in the bottom right corner? I love it! So detailed, God is truly an artist! These tiny shells are gorgeously detailed even though they are tiny tiny tiny…. And that brings such joy to my heart! 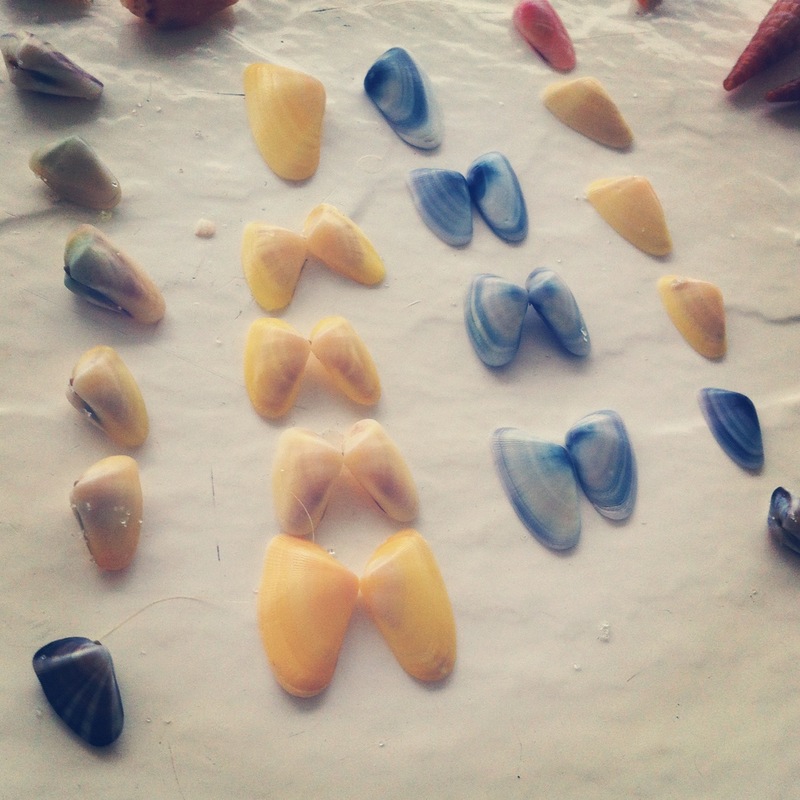 If God can put such intricate detail and thought into each of these tiny tiny tiny baby shells…. can you imagine just how much time He has spent on us??? No really, think about it. Look at those shells again if you need to. These shells are tiny. I understand that the bigger shells have cool designs and everything, but these are the same thing, but on a much smaller scale! I think we lose track of what amazing craftsmanship we are! These shells, though similar, all have their differences that make them perfectly unique. God has given us all differences that are uniquely us. No one else has the exact same interests and dreams as others, we all have our quirks about us! Such as : I love teeth. So therefore, I want to be a dentist. Not many people like teeth enough to do that. My brother likes ketchup on his bread rolls… See, all quirks! We may all have different or similar interests, but we all won’t have the exact same opinion on every single thing. We are all uniquely different in every way possible. So why do we try so hard to all look and act the same as everyone else? God didn’t want us to be boring, that’s why he have us the quirks as perks ( See what I did there? (: ) He made us unique for a reason, for a certain purpose, that maybe only we can do. Maybe He gave you a certain gift or quirk that you find out you can do something with to further the kingdom and give the glory to God. Who knows what that could be, but God grants us the certain things we need to fulfill our purpose that He has for us. He made us uniquely us to fulfill a unique purpose that He has for us for a unique reason. He needs us to be who He has called us to be to do what He has called us to do. Be uniquely you, who God has called you to be, to do what God has called you to do. He made you different and unique for a reason, so use those to bring Him all the glory. So every time you see a shell, think about what effort and detail went into making it unique and then think about how amazingly detailed and unique God has made you for a certain purpose. So go and use those quirks to bring Him all the glory!